Are you a ShareASale merchant looking to acquire new and quality affiliates into your program? If yes (and I hope so), then I have some exciting information to share with you. ShareASale offers their merchant’s ways to “boost” their programs exposure and be directly in front of affiliates that can help grow their programs. There are seven (7) options that can increase the exposure of an affiliate program. In the following paragraphs I will detail each one to help determine if it makes sense for merchants to undertake and invest further into their affiliate programs. The first placement option (and most popular) is the Featured Program of the Week. A merchant will get their logo and a description of their affiliate program displayed on the opening of the affiliate homepage. This is a competitive placement because there are only 2 merchants per week allowed to be placed. The current cost is $450 per week. Below is a screenshot of what the Featured Program of the Week looks like. The next option is the Featured Program of Your Category. It is similar to the Featured Program of the Week (includes logo and description) except the placement will be within your category only. This placement is a one (1) month deal and at the time of this post it costs $300. For example, if a merchant is in the Art/Music/Photography category it will be placed at the top of the search results for that category only. The third placement option is the New Programs in the last 20 days. 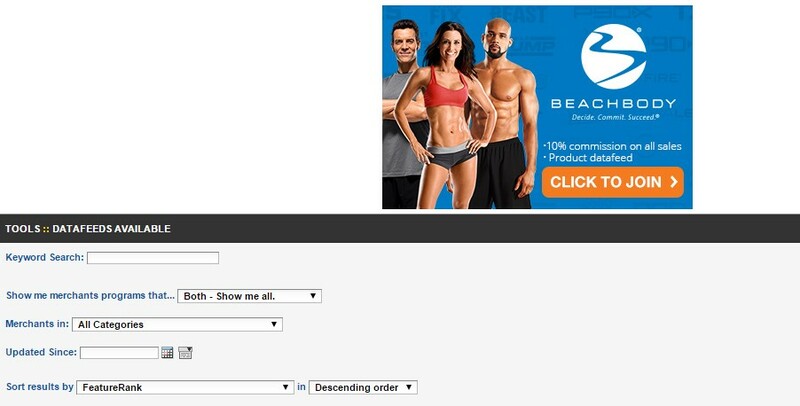 This is one of the most popular places for affiliates to look for new merchants to promote. It is a “directory” of all the merchants that have launched on the ShareASale network in the last 20 days. This allows merchants to list their ad at the top of the new program category and increase exposure for a new and growing program. This (presently) is a $400 per month placement and the affiliate program must be “new”. Option # 4 is for merchants who have data feeds. Not all merchants have data feeds, but the ones that do should seriously look at this as an option to increase their programs exposure. The merchant’s graphic will be placed in a rotation along with five (5) others. ShareASale recommends mentioning the data feed within the graphic to enhance visibility. This will cost merchants $550 per month. Program Directory Listing is another solid option for merchants to consider. For $650 per month a merchant’s graphic will be listed along with 5 others on the directory page that lists all merchants in the ShareASale network. Not satisfied with only one (1) category listing? Some merchants operate and can be categorized in more than one category, so ShareASale gives merchants the option to be place in another related category. For $350 per additional category a merchant can be added to additional categories. 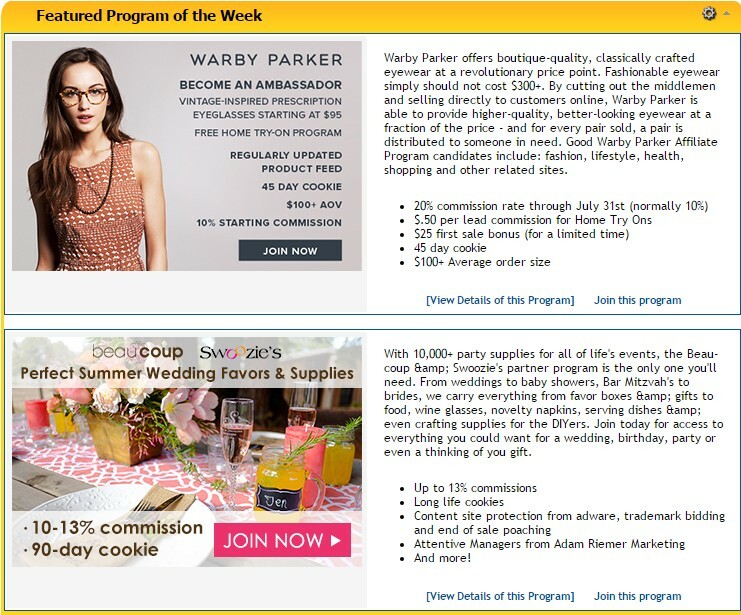 The final option for merchants to expand their programs reach is through Affiliate Invitations. For $200 per two weeks ShareASale will send top performing affiliates in a category invitations to join the merchant’s program. There are seven (7) viable options for merchants to increase their affiliate programs exposure to prospective affiliates. Not all options will be suitable for all merchants, but there are a two specifically (Featured Program of the Week and Featured Program of Your Category) that can significantly increase a merchants pool of quality affiliates and drive growth for the future of the affiliate program.